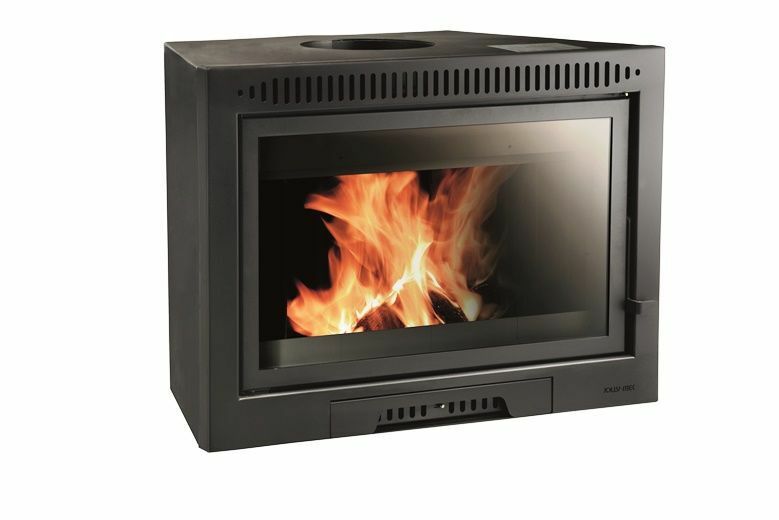 The wood fireplace inserts for Universaljolly Evo wood models feature a sleek design and are built to provide humidified air heating. With the wood inserts for the Universaljolly it is possible to transform your traditional fireplace into a heating system for your home. 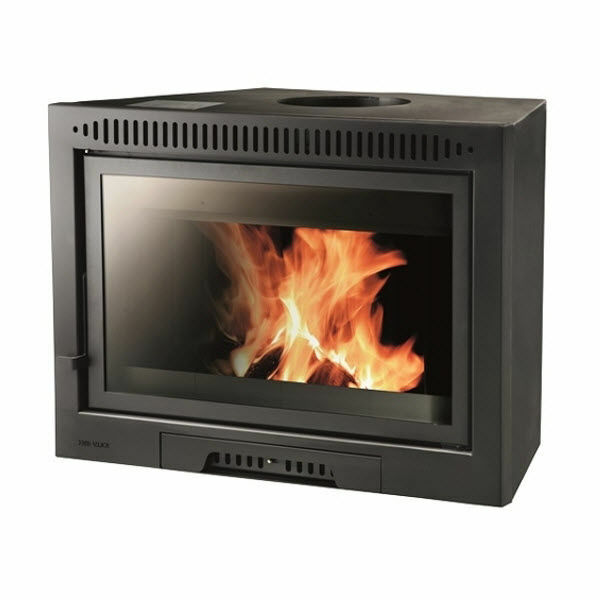 There is a vast range of high power models to choose from. 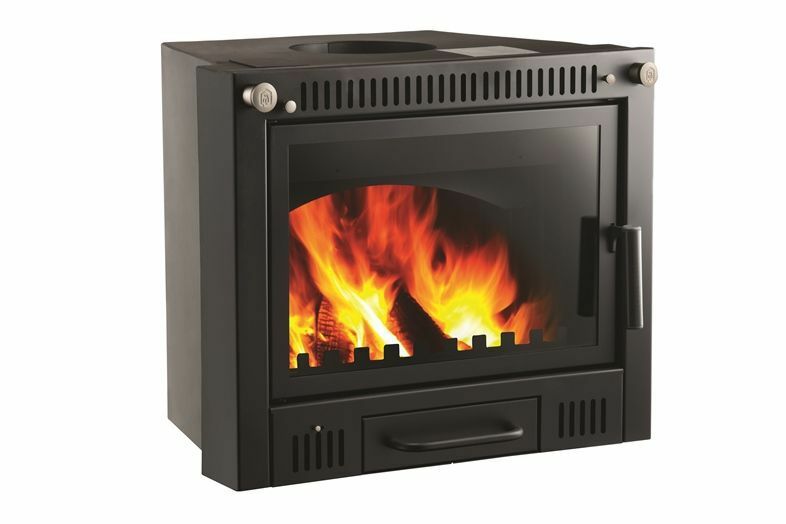 The Universaljolly wood fireplace insert is suitable for medium-large sized homes. There are two openings in the top section of the fireplace for the ducting of air if desired. Depending on the type of installation, it is possible to close the front hot air output and duct all the hot air elsewhere. The onduling system triples fire exposure thanks to the patented undulation feature that maximises fireplace performance. The front extractable ashpan guarantees practical and swift cleaning. 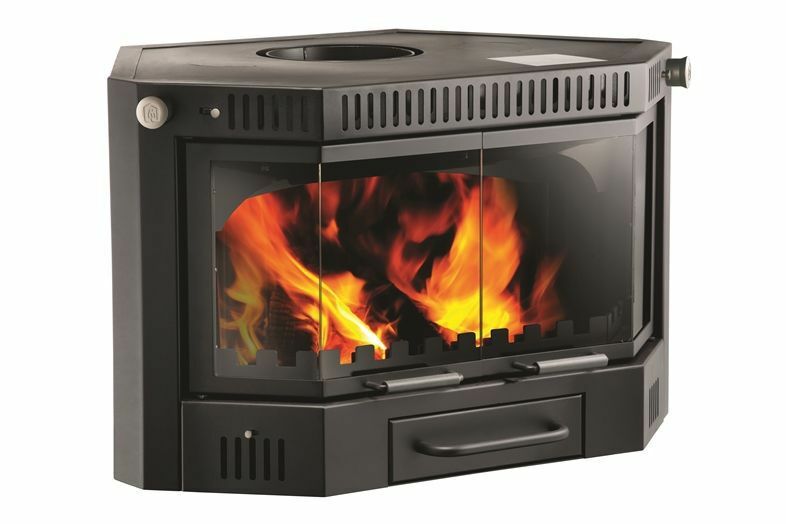 The flue-gas damper optimises combustion and reduces fuel consumptions. On opening the door, the damper opens automatically preventing flue-gas from escaping into the room. A 410 m3/h fan provides swift diffusion of heat throughout the home.